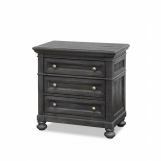 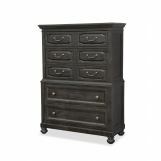 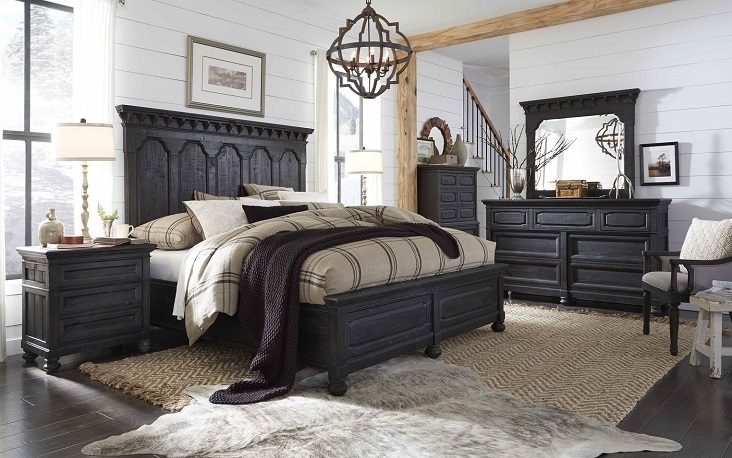 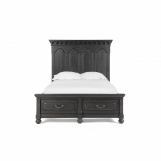 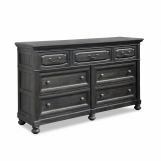 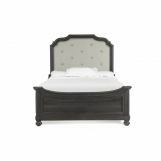 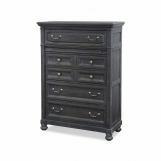 A chalky Anvil Black finishes pine solids and veneer which have been crafted into European and Gustavian inspired show stopping beds and cases and mirrors with shaped arches, raised panels and curvaceous corners for an updated and sophisticated farmhouse feel. 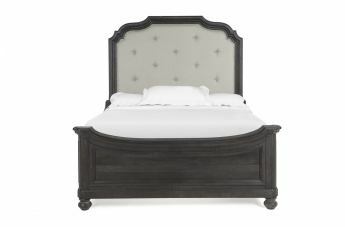 From the button tufted and shaped wood frame upholstered bed to the wonderful mansion style arched panel bed available with or without storage or the low panel bed that features trellis inspired blind carving and short posts, inviting options abound. 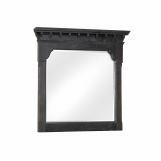 Gorgeous details in shaped mirrors and on doors of the Media chest add further hospitality.